Join us to chat about all things related to London transport in our Facebook group, Londonist Roundel Ramblings — everyone welcome. The latter half of 2018 was a barrage of bad news for transport fans keenly awaiting Crossrail’s opening. The December launch date came and went, before TfL announced that the new postponed Autumn 2019 launch date may not happen either. This leaves a large hole in TfL’s budget, as all the money that it expected to gain from Crossrail users simply won’t exist for another 18 months. So to balance the books, other money-earning and cost-cutting ideas emerge. One such — which has flown a little under the radar — is the possibility of opening the western section of Crossrail early. That is, Paddington out to Reading. Under the guise of TfL Rail, Crossrail is already operating half of this section: from Paddington to Heathrow. So it’s just West Drayton to Reading that will be seeing Class 345s (the new Crossrail trains) for the first time. How helpful is this approach? Firstly let’s look at this section’s original launch date: December 2019. The launch date for the central tunnel section now probably sits somewhere in 2020 — we don’t know exactly where, because TfL is keen to not put another date on it that could be missed. Is December 2019 still the intended opening of this western section of Crossrail? If it is, it might only open a couple of months before the central tunnels section. If that’s the case might it not be smoother to try and launch the whole thing at once? There is the sad but nonetheless pertinent reality that the central tunnels might note be ready to open in the first few months in 2020. It might not be until the end of the year that things are ready to launch, which would make them a disheartening two years late. Currently this route, or at least something pretty similar to it, is run by Great Western Railway. GWR’s contract for the route ends in December 2019 — one of the reasons the changeover was initially planned for then. 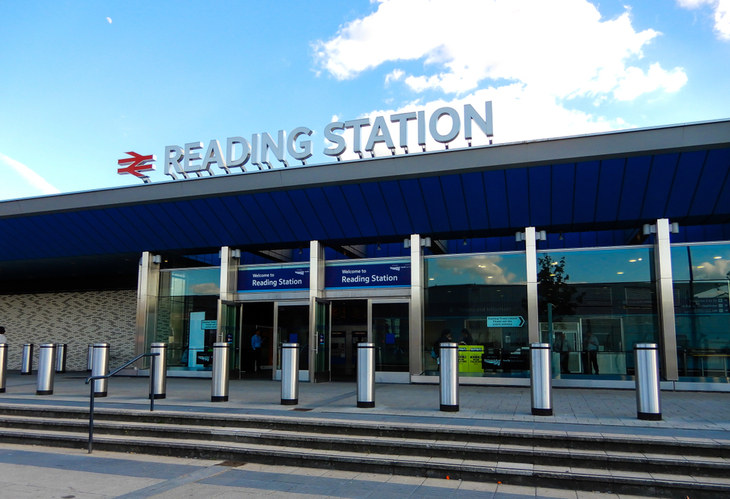 GWR would continue to run fast services stopping at some of these stations, for example, Paddington to Oxford, stopping at Reading and Slough, but the bulk of the services — i.e. the stopping trains — would be handed over to TfL. The exact service pattern of these trains is currently a bit unclear. We tried to map it out a while ago, but there were a few assumptions made in the process, the main (and incorrect) one being that the central tunnels will have launched first. So, there might be six trains per hour in the peak to Maidenhead — which is more than GWR currently run — or there might not. It might be smarter to at first run a service that’s pretty similar to GWR as without the trains continuing past Paddington, there’s unlikely to be the demand to run such high numbers of trains. One boon that Crossrail launching out to Reading early will bring is earlier integration of the Oyster card system out west. This might sound minor but makes life a lot easier for passengers. What are the chances of this actually happening? Not an easy question to answer, but we do have a hint that something is afoot. Class 345s have been spotted in testing between Reading. That’s a good sign — if testing goes smoothly then perhaps the trains could be ready to go for December 2019. In a recent discussion with the London Assembly, TfL Commissioner Mike Brown described talks over the proposal with the Department for Transport, Network Rail and GWR as “encouraging”. However, we can’t ignore Crossrail’s history of failure. At the time of writing Class 345s still aren’t running out to Heathrow, and that should’ve started months ago. The Class 345s also launched late on the Shenfield to Liverpool Street section of TfL rail too. Finally if this does happen, will it mark the start of the beleaguered Elizabeth line branding? Or will this be another awkward addition to the ‘just meant to be temporary, but has now been around for years’ TfL Rail stable? Definitely the latter — it’d be a bit of a damp squib if TfL opened the Elizabeth line without the central tunnels. So train enthusiasts, you might not have to wait so long until a Crossrail opening. Just not the Crossrail opening you cared about.